Star Trek Into Darkness knocked Iron Man 3 off the Top Slot at the UK Box Office after numbers of £8.4 million pounds on its opening weekend, recently. The good news is Paramount's new 3D Star Trek sequel (directed by J.J. Abrams) has overtaken previous "reboot movie" ticket records, which earned a sweet £6 million sterling on its debut weekend in 2009. That was then. Today Star Trek Into Darkness is boldly beaming worldwide. See it tomorrow! We've been waiting for a new TREK movie for 4 monumental, sensational years. Into Darkness has finally arrived! I reckon we deserve to be blown out of our seats for our just rewards. Are you ready and all set for a trektastic time? How many of our movie predictions will come true? 90 stunt people is a great indication of what direction Star Trek Into Darkness is headed with special effects and relationships evolving in this action adventure space trek. An interesting question put by lonevision recently was: Will the new movies fortunes put an end to Star Trek "TV SHOWS" for good? What do you think? Have you got your "Starfleet" T-shirt all nice and pressed for the movie? XD, Go on do tell us if you have! Fandango has a new special offer featuring a free download copy of JJ Abrams 2009 Star Trek Movie (via iTunes) for fans who purchase their tickets of Star Trek Into Darkness. You can find more details on this offer at Fandango.com. Thrill Long and Prosper, Trekkies and Trekkers. 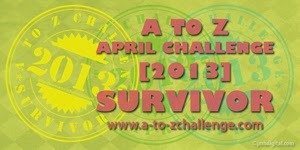 Heres my Challenge Reflections for April's Time Travelling Festivities before signing up. I've got my badge from Captain Ninjas site to complete my journey. 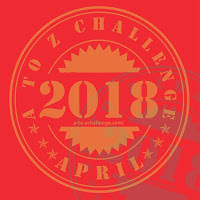 The window for posting A to Z Reflections closes on Friday. 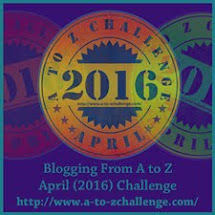 Spacerguy salutes everyone who took part in the A to Z April challenge hosted by the big guns. The Ninja clones really kept the show on the road. This is my third (time travelling) experience through the blogosphere. My primary mission objective was to seek out strange, wonderful blogs and befriend new lifeforms. "To boldly go where no-one has gone before!" For me its exciting stepping out and exploring the unknown galactic expanse of the blogosphere. You never know whats waiting for you out there second blog to the right, *grin. * I found lots of cool places bursting with imagination and clever writing and visuals. Great job bloggers! I was happy so many enjoyed my little corner of the universe too. I wrote about Star Trek the whole time and its been an agonising challenge stopping myself from spilling the beans on J.J. Abram's movie, Star Trek Into Darkness. I'll be posting an "Into Darkness Portal" (WITH SPOILERS) soon to tease you. Are we all set for lift off "Into Darkness" when the countdown ends?" If your from Austraila or UK: Is STID better than 2009's version, what are your thoughts? Kapla. Avatars Queen of the Na'vi was all dolled up in her finery for Star Trek's "Into Darkness" UK Premiere last Thursday when a glitch struck. An unusual anomaly hit Empire Leicester Square when Zoe's heel snagged on her dress, Red Alert, All Hands! Apparently the cosmic forces in London united at a specific point in time, creating quite a pickle for the actress. All Hands.... Fortunately, the Chief Communication Officer, Uhura had our Enterprise buddies on standby for the perfect rescue operation! If only Scotty had been around with his sidekick, Keenser! I don't have to wonder what our furry friend would have done, LOL. 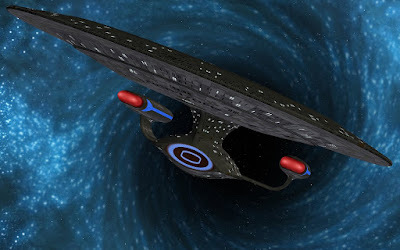 Hmmm, this requires close analysis, perhaps I'd better climb up Uhuras shapely warp nacelles for a closer analysis, eh? Fortunately, Saldana didn't trip but can you imagine the communication turbulence if she had! Live Long and prosper, trekkies, trekkers and niners.